Obama is ready to name a successor to National Economic Council Director Lawrence Summers who resigned his post in September. Summers worked diligently with fellow bankster minion and Goldman Sachs crony Robert Rubin in 1999 to trash the Glass-Steagall Act and usher in the financial crisis. Summers was Treasury Secretary at the time. It looks like the Bilderberger Altman is the odds-on favorite. Larry Summers has taken buku bucks from his bankster buddies while supposedly serving the American people. He received hundreds of thousands of dollars in “compensation” from Goldman Sachs, JP Morgan, Citigroup and Lehman for speaking engagements. He received $5.2 million in 2009 from the Wall Street hedge fund D. E. Shaw. In short, he profited handsomely from the engineered takedown of the economy. Summers may be a difficult act to follow, but Obama is stacking the deck. Possible replacements include Roger Altman, founder of Evercore Partners Inc., Gene Sperling, an adviser to Treasury Secretary Timothy Geithner, and Yale University President Richard Levin. It looks like Altman is the odds-on favorite. Fairness and talent come in second to the fact Altman is a high ranking Bilderberg member. In fact, he is a member of the steering committee of the secretive globalist organization. 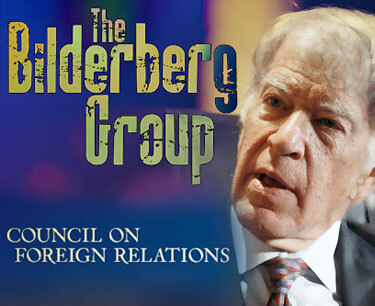 He is also a member of the Council on Foreign Relations. He is also a mucky muck with the globalist Trilateral Commission. Altman was a general partner at Lehman, the bankrupt investment banking “service” that cooked its books and helped the banksters realize the largest one day point loss in Dow history and subsequently ushered in the engineered “perfect storm” of so-called economic distress factors that resulted in the unprecedented fleecing known as the bankster bailout delivered by Hank Paulson and duly rubber stamped by Congress. Clinton’s former deputy Secretary of the Treasury is also connected to the hedge fund investment group Blackstone. Talented, indeed – for a gaggle if international banksters dedicated to realizing a one world totalitarian government and reinventing serfdom as presaged by CFR historian Carroll Quigley.